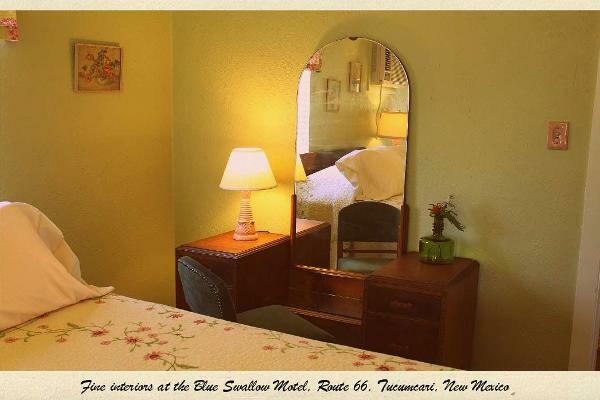 Named for long-time owner/operator Lillian Redman, this unique two-room suite features comforts and amenities not found in any other room at the Blue Swallow. . The Lillian Redman Suite features a comfortable parlor with original 1940 hardwood floor, divan, and 32-inch digital flatscreen TV. 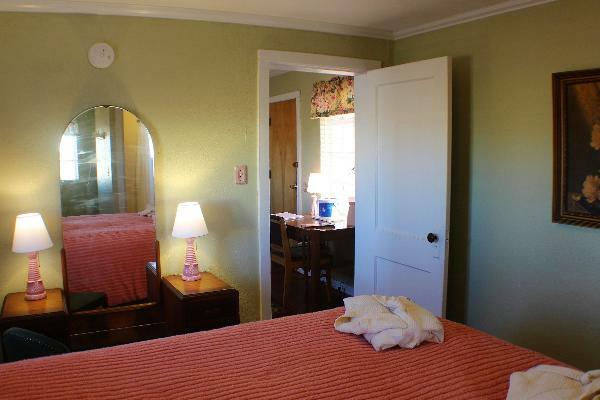 The separate bedroom features 1937 antique queen-sized bed and matching dressing table. There's also a 26-inch digital flatscreen TV there if you want to catch up on what is going on in the outside world. 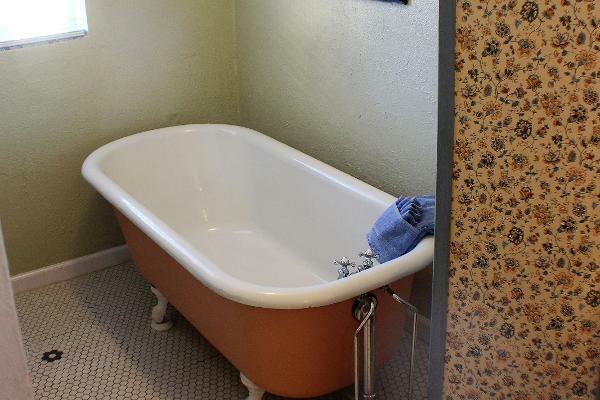 The bathroom features a step-in shower, plus an antique claw-foot bathtub. As all the rooms at the Blue Swallow, the Lillian Redman Suite features period decor, but in a roomier and more luxurious setting than our standard rooms. Perfect for the special occasion, or multiple-night stay in Tucumcari. 2 people. An additional guest may be allowed with permission in advance. The Lillian Redman Suite, like all the rooms at the Blue Swallow, feature a comfortable blend of vintage charm, modern convenience, and premium comforts. 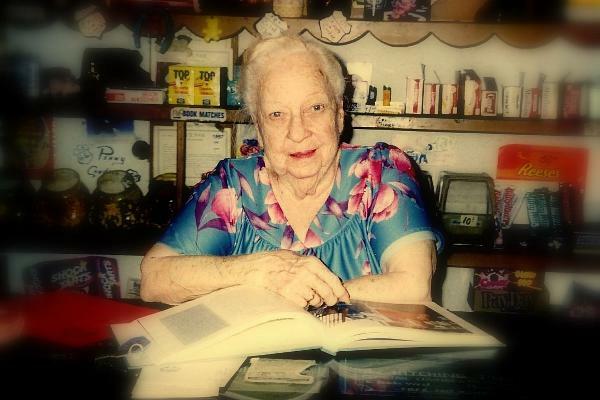 Lillian Redman at the front desk of the Blue Swallow in 1997. She owned and operated the Motel for nearly forty years! This unique suite features beautiful antique furniture, period decor, and a wonderful 1923 clawfoot bathtub. 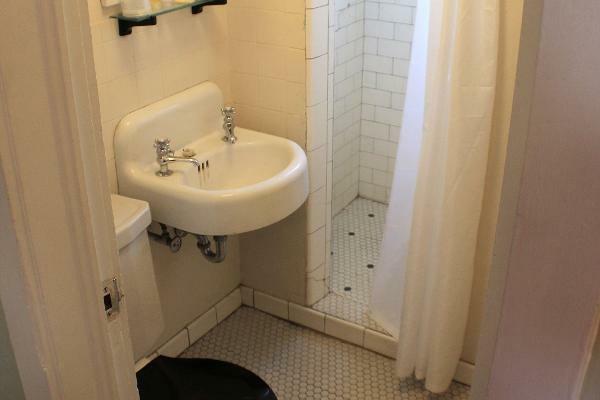 The toilet room features original fixtures, tilework, and step-in shower. Dressing table in the bedroom. Looking from the bedroom into the parlor. The custom bathrobes are yours to use while our guest in the Lillian Redman Suite. 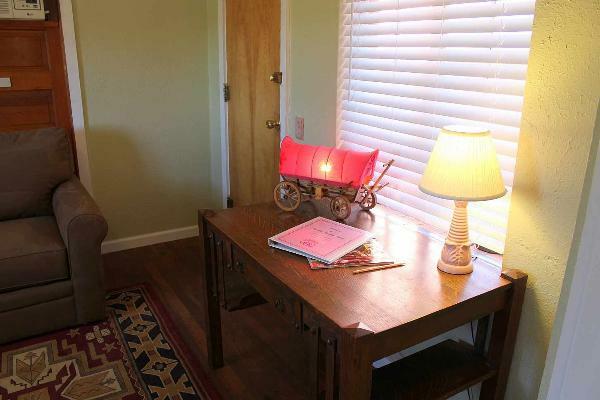 Desk in the parlor is a great place to write postcards to family and friends. 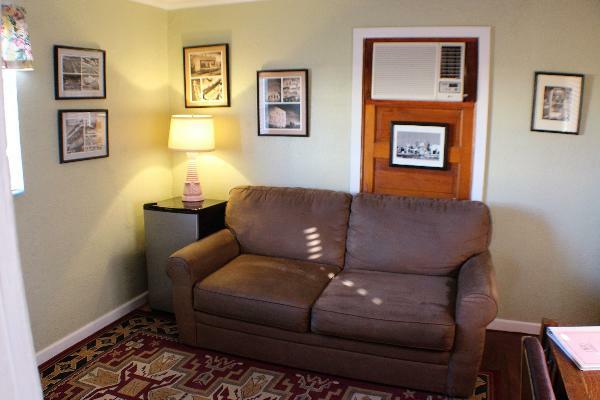 The sofa in the parlor is a comfortable place to relax, read, or watch TV. 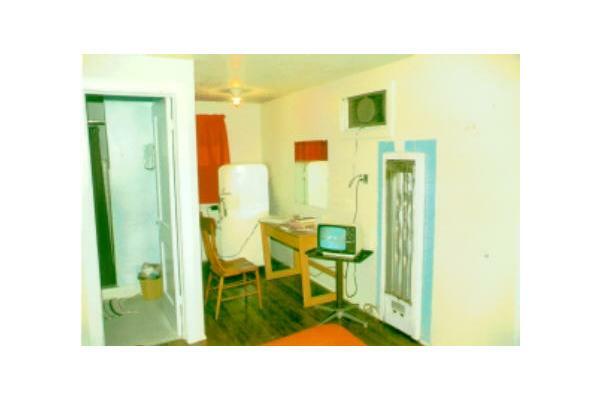 The suite also features an in-room refrigerator for your convenience. Room 6 long ago. 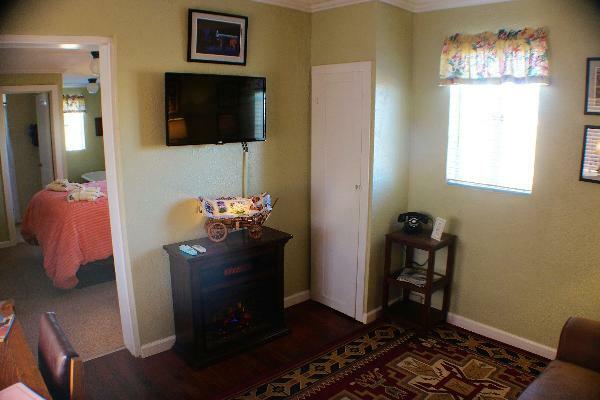 The bathtub is now located in this corner, and the TV will be a substantial upgrade from this black & white unit!